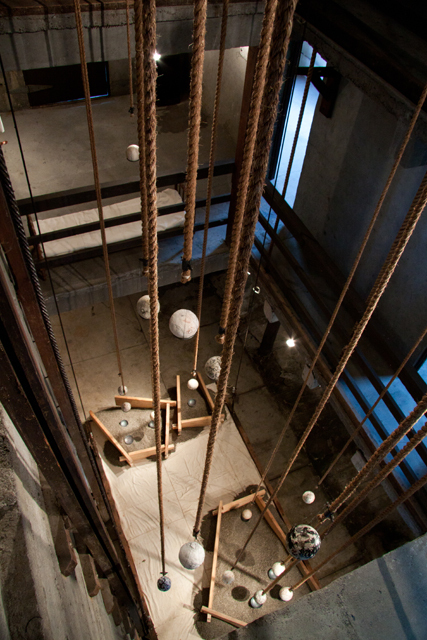 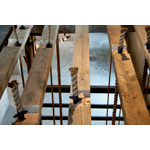 2011 28' x 8' x 12' Site-specific three-story freight elevator Installation at The John Davis Gallery, Hudson, NY. 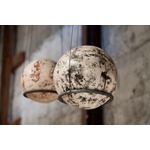 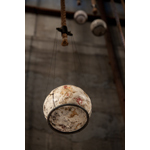 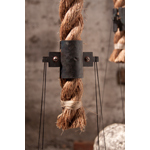 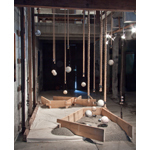 plaster spheres with pigment and beeswax; forged iron brackets, rings, and bowls; ¾” and 1 ½” thick rope; waxed string; nuts, bolts, and washers; rough-sawn hemlock; 350 lbs stone. 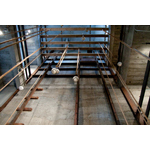 This project was funded in part by a Strategic Opportunity Stipend Grant from the New York Foundation for the Arts and The Arts Center of the Capital Region.